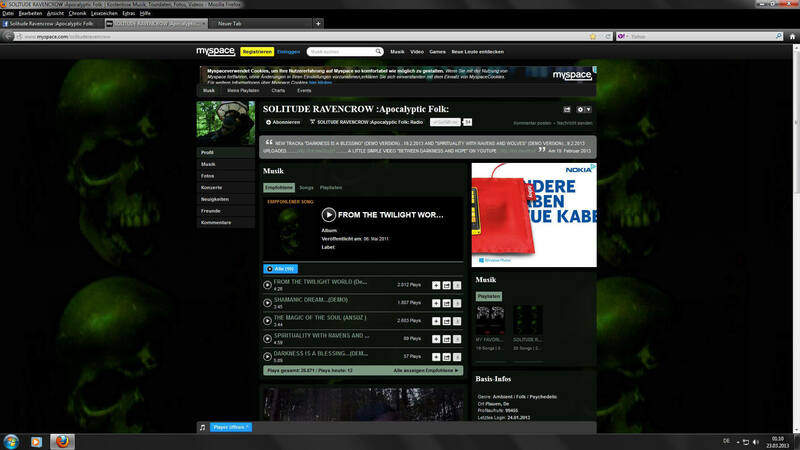 The band SOLITUDE RAVENCROW was founded on 19/09/2009 by E. Tod aka Solitude Ravencrow as a one man project. Under the genre Apocalyptic Folk, the first recordings of the band were started and posted on MySpace. In 2010, the singer Calla joined the band. Her voice and inspiration brought fresh wind. The work on the album FROM THE TWILIGHT WORLD were launched during this time. 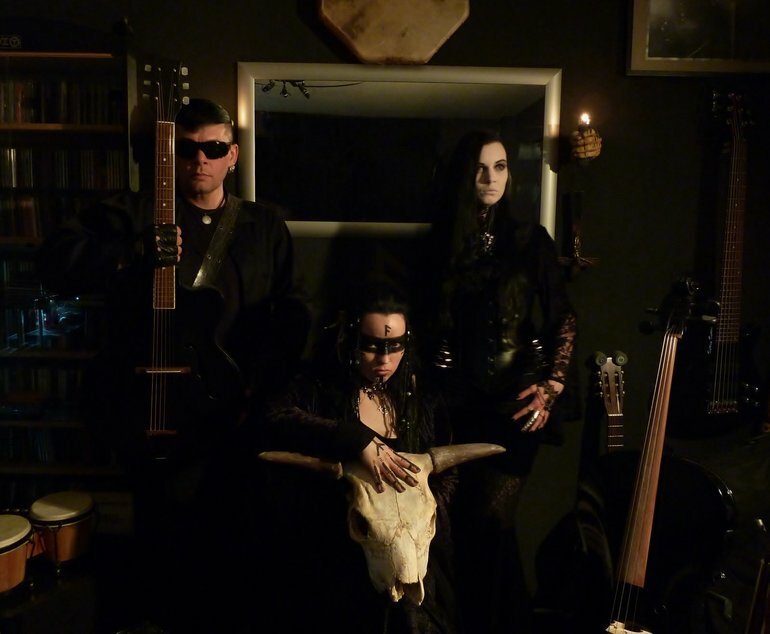 In 2012 came La Peste Noire, as cellist to SOLITUDE RAVENCROW. During this time, Dreamer was added to the band. Together with him, the resulting songs were presented on various web platforms. In 2013, the album FROM THE TWILIGHT WORLD was released under the label REVERB WORSHIP. In the year 2014 began work on the second album THE WANDERER BETWEEN WORLDS. The second album was released in the year 2015 even under the label REVERB WORSHIP. In the year 2016 began work on the third album THE GATE TO THE NETHERWORLD. In the period after the completion of the album THE WANDERER BETWEEN WORLDS, the quality of the resulting work has been enhanced by improved recording technology and new instruments. The quality of the third album is significantly influenced by these elements. The work on THE GATE TO THE NETHERWORLD was finished in january 2018. Even during the audio-mastering work of the album the foundations for further creative work were laid. 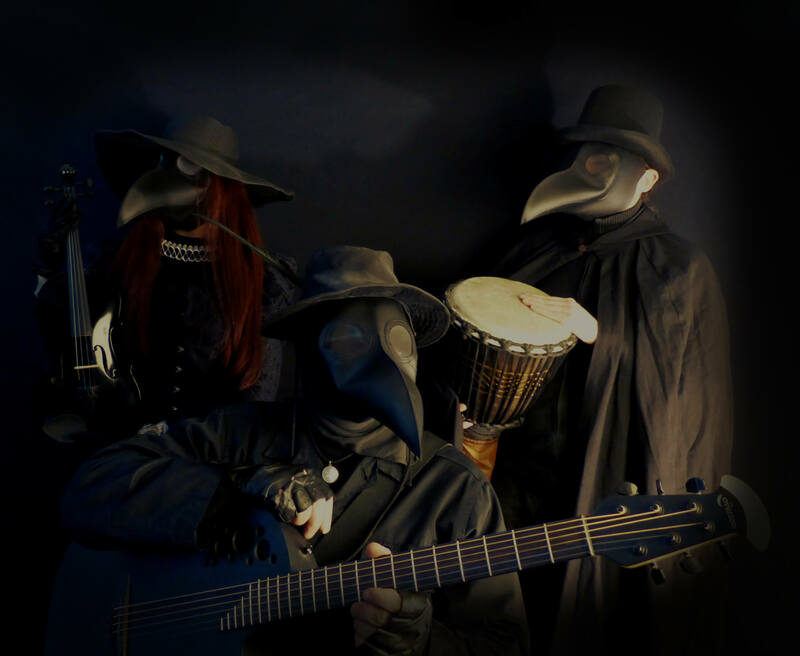 The extraordinary music of the band SOLITUDE RAVENCROW is created by passionate improvisations and through the love of darkness. The members of the band, consisting of musical newcomers, have found the valve to process dark episodes of their own past through the music. Through this exceptional circumstance, the music reached a depth that can go one under the skin and even up on the soul.